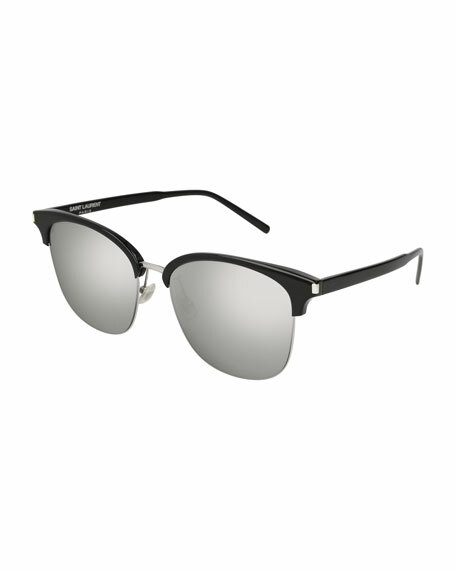 Saint Laurent "SL 201" sunglasses with retro-inspired profile. Acetate frames with thick brow line. Metal corner details at temple. For in-store inquiries, use sku #2326593.